The Partial Summary Judgment Motion: Useful Tool or Risky Maneuver? One of the most useful tools in a lawyer’s litigation toolbox is that of a summary judgment motion. The summary judgment motion allows one party, whether they are the plaintiff or the defendant, to move swiftly for a determination of the entire case, based, most often, on the documentary evidence before the Court, or where the issues can be determined without oral evidence – essentially, when there is no genuine issue for trial. The leading case on the use of summary judgment motions, Hryniak v. Mauldin established that a motion for summary judgment is appropriate when there is no genuine issue for trial, when (i) the motions judge is able to reach a fair and just determination on the merits of the motion; (ii) the motion allows the judge to make findings of fact, allows the judge to apply the laws to the facts, and (iii) the motion is a proportionate, more expeditious and less expensive means to achieve a just result. A successful summary judgment motion can bring a quick end to litigation, saving time and the expense of the long road to trial. However, a summary judgment motion is designed to be determinative of all the issues in a proceeding. What if a party takes the position that at least one of the legal and/or factual issues in litigation can be determined by way of summary judgment, even if the balance of the issues will need to be determined at trial? Enter the partial summary judgment motion. The lure of the partial summary judgment motion is there and it can be very useful, but these motions are becoming rarer as the Court of Appeal has consistently taken the position that partial summary judgment will rarely be appropriate, so much so that it is difficult to even obtain a Court date for a partial summary judgment motion. 1) Delay. A partial summary judgment motion will, by its very nature only resolve a limited set of issues, if any. Typically, an action does not progress where there is a motion for partial summary judgment, focus being directed to the motion for partial summary judgment. The motion becomes an additional step within the litigation that can detract from or prolong the resolution of the other issues and be used as a tactic to cause the opposing party to expend time and legal fees on a motion that is not determinative of the action. Further, if the decision is unfavourable, there can be an appeal, which will cause additional delay and additional costs. 2) Expense. Motions for summary judgment are cumbersome and are often costly. A partial summary judgment, while not resolving the entirety of the litigation like a summary judgment motion is positioned to do, is still just as cumbersome, and costly. A cost-benefit analysis brings into questions the usefulness of a partial summary judgment motion. 3) Use of Judicial Resources. Judicial resources are already limited, and a partial summary judgment motion will utilize similar amounts of judicial resources and will not produce a final determination of all issues. As with the cost considerations of bringing such a motion, the use of judicial resources for a limited finding brings into the question the benefit of the partial summary judgment motion. 4) Inconsistent Findings. The record at a partial summary judgment motion will not, by its nature be as expansive as the record at trial, which increases the danger of inconsistent findings. Partial summary judgment motions remain a useful tool, but the Court of Appeal has unequivocally demonstrated that the risks associated with such motions justify their use the most limited of circumstances. For more information on the matter, please contact Liliana Ferreira directly at [email protected] or at 905 763 3770 x 242. *The material provided in this article is for general information purposes only. It is not intended to provide legal advice or opinions of any kind. Liliana Ferreira's practice encompasses commercial and estate litigation. She advises individual and corporate clients on a range of legal issues such as employment and contract disputes, construction matters and debt recovery claims. Her unique expertise allows her to take a balanced approach to litigation with a sharp focus on advocacy and dispute resolution while assisting her clients in making informed business decisions. 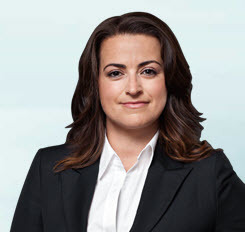 In the recent case of R. v. Boudreault 2018 SCC 58 (judgment rendered December 14, 2018), the Supreme Court of Canada declared that mandatory victim surcharges imposed on individuals found guilty of an offence under the Criminal Code (Section 737) are unconstitutional for violating sections 12 (protection against cruel and unusual treatment or punishment) and 7 (the right to life, liberty and security of the person) of the Charter of Rights and Freedoms (a 7-2 ruling). The issue was the disproportionate consequences on people ordered to pay the fine, depending on their financial circumstances, and the complete absence of a judge’s ability to exercise discretion in imposing the surcharge. It is important to note that Criminal Code offences are not the same as Provincial Offences Act offences. Provincial Offences are a quasi-criminal area of law that encompasses regulatory offences under various provincial statutes and regulations. One example of this would be traffic fines under Ontario’s Highway Traffic Act. R v. Boudreault dealt only with mandatory victim surcharges under the Criminal Code; however, the Provincial Offences Act also provides for mandatory surcharges in the same manner as the Criminal Code. Therefore, the principles the Supreme Court as applied in Boudreault should apply equally to provincial mandatory surcharges, leaving them vulnerable to being struck down as unconstitutional just like those from the Criminal Code. Since the decision only came down in December of 2018, it’s still too early to say how it is going to affect provincial fines in the absence of legislative changes, but it is definitely something to keep in mind if you find yourself facing charges under the Provincial Offences Act. No matter what, it is going to be interesting to see how things shake out over the coming year. For more information on the matter, please contact Ryan Hanna directly at [email protected] or at 905 763 3770 x 250. 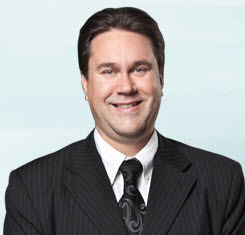 While regularly acting on a range of legal matters, Ryan Hanna maintains a business oriented focus to his litigation practice, assisting clients with commercial disputes ranging from shareholder actions and wrongful dismissal claims to secured and unsecured debt enforcement, residential tenancy disputes, commercial leasing matters, and trademark infringement.